Dean Heller made an announcement earlier this week that he would be seeking reelection for his Senate seat. The Nevada Republican had previously been mulling a gubernatorial run as Gov. Brian Sandoval is term limited and will be stepping down in 2018. He issued a statement via his Facebook page. "My family and I have put much thought and prayer in considering the best way to serve the state that we love," Heller stated. "I believe serving and running for re-election as Nevada’s senior Senator is where I can do the most good and have the biggest impact for Nevada. Serving as governor would be an enormous honor, but I am looking forward to being Nevada’s strongest voice on Capitol Hill." The announcement should come as welcome news to Mitch McConnell as he prepares for an already-friendly Senate map in 2018. Of the 33 seats in play, Republicans are only having to defend eight – leaving plentiful room for the GOP to go on the offensive. Heller’s decision to not vacate his seat should make it that much easier to defend it from Democratic takeover. Nevada was one swing state in 2016 that went for Hillary Clinton and voted in a Democratic legislature. Republicans will need all the help they can get in the Silver State. As good as the news is for McConnell and Senate Republicans, Heller’s decision to forgo a gubernatorial run may come as a disappointment to the Republican Governors Association. Unlike their Senate counterparts, Republican governors have a tough map on the horizon. Twenty-seven of the 38 gubernatorial seats up for election in 2017 and 2018 are currently held by Republicans – it will be hard to imagine the RGA not losing a few to Democratic challengers. 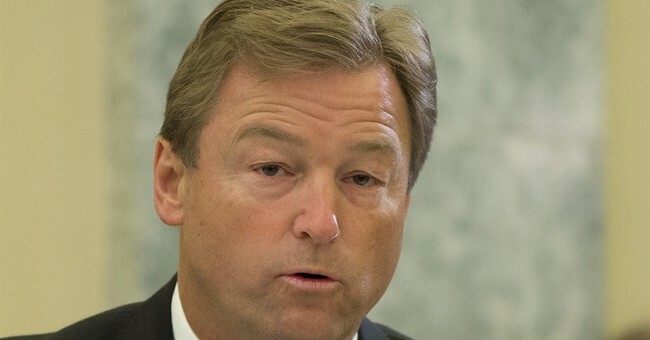 A bid by Sen. Heller, a popular Republican who is known statewide, would’ve helped their predicament.